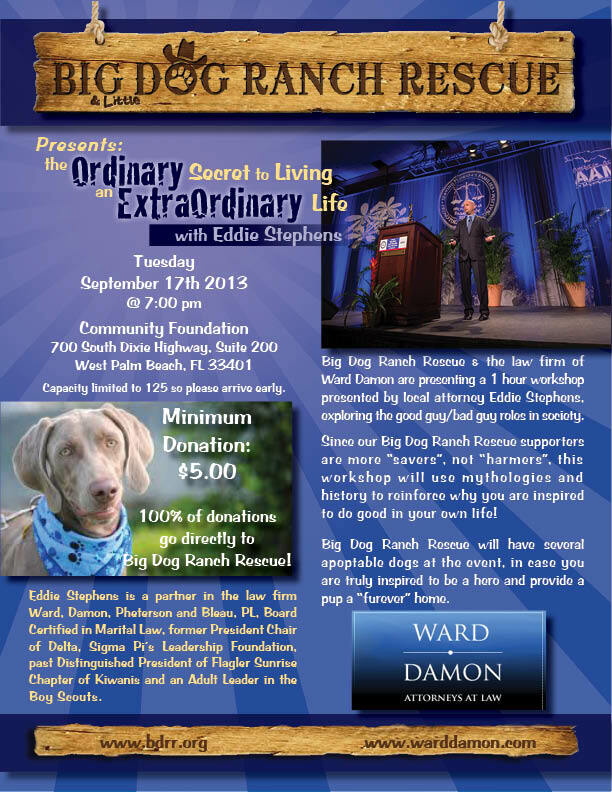 Big Dog Ranch Rescue and the law firm of Ward Damon are presenting a 1 hour workshop presented by local attorney Eddie Stephens, and will explore the good guy/bad guy roles in society and is based on the teachings of Joseph Campbell. Since our Big Dog Rescue Ranch supporters are more “savers”, not “harmers”, this workshop will use mythologies and history to reinforce why you are inspired to do good in your own life! 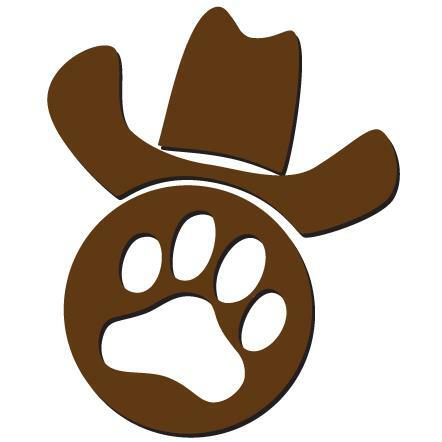 Big Dog Ranch Rescue will have several adoptable dogs at the event, in case you are truly inspired to be a hero and provide a pup a “furever” home. Participants will explore mythology archetypes that permeate our anthropology and discuss common threads between them. The presentation will examine “The Hero’s Journey” a basic pattern found in many narratives from around the world and learn how these concepts are linked to our psychological roots. Stephens is a Board Certified Marital & Family Attorney in Palm Beach, Florida and a partner in the Palm Beach law firm Ward Damon. Stephens became board certified when he was 33 years old and shortly thereafter was asked by the Florida Bar President to chair the Marital & Family Law Board Certification Committee which creates and grades the board certification examination and oversees the entire board certification process. Stephens is an expert in his field and has tried hundreds of complex high conflict matters. Stephens is also a frequent lecturer for Continuing Legal Education (CLE) and has been the speaker for the Family Law Section’s most successful CLE of the year for two years in a row. Stephens is published (Stephens’ Squibs) and maintains a legal blog which is published monthly by the Florida Bar and has received over 30,000 unique hits. He is a humble servant to his community participating in Kiwanis (past outstanding president, Hixson recipient) and has been an adult leader in the Boy Scouts of America for 7 years. Over the years, Stephens has raised over $20,000 for the Muscular Dystrophy Association and has an endowed scholarship named after him (Eddie Stephens South Florida Leadership Fund). Please join us for this seminar!